Rev. William Seid (known to people as Bill), age 96 of Grand Haven, passed away Tuesday, November 20, 2018 at Harbor Hospice. He was born June 2, 1922 in Rockland, Michigan to Edward and Wilhemina (Laru) Seid. He married Mary Jane Cantelon on June 14, 1946, and she preceded him in death on February 25, 2014 after 67years of marriage. At a young age Bill left home to find work in Detroit. It was there that he became a committed Christian. Bill enrolled at Moody Bible Institute to become a pastor, where he met his wife, Mary Jane, who was training to become a missionary. They were married and began their ministry together. They were to serve pastorates in Illinois (Aurora, Noble, and St. Anne), Michigan (New Era), and Wisconsin (Whitewater) before retiring in Twin Lakes, Michigan. 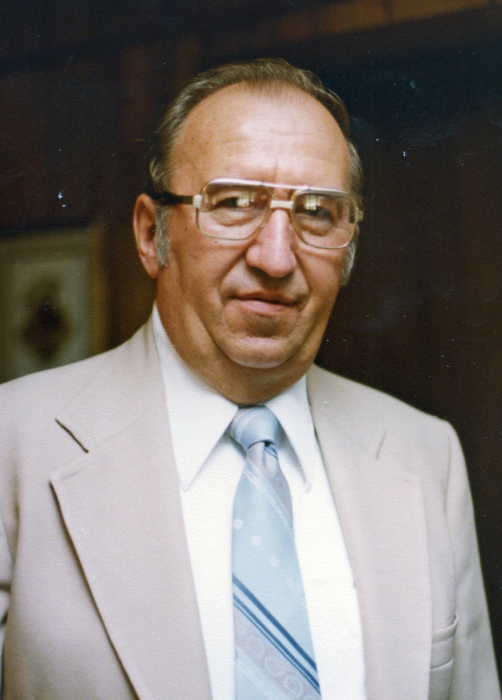 He loved to read and study, preach evangelistic sermons, and teach the Bible. If he wasn’t in his study, at church, or visiting his congregation, he was working on his car or house; he was a jack-of-all-trades. Bill is survived by three children, Bill (Mary) Seid of Muskegon, Debi (Carl) Vigliarolo of Spring Lake, and Tim (Suann) Seid of Richmond, IN; nine grandchildren; eight great-grandchildren; and sisters, Margaret Bratu, Beatrice Kimmel, Catherine Vance, Beverly Smith, Carol Otterson, and Gladys Seid. He was preceded in death by his wife, Mary Jane; brother, Gordon Seid; and two sisters, Edna Kimmel and Mirla Axley. The family greatly appreciates the love people have shown for their parents over the years and are grateful for everyone’s prayers and condolences. According to William’s wishes, there will be no services.